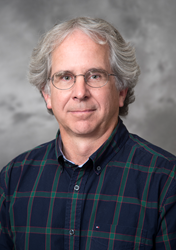 David Nolte, PhD is named Purdue University’s 2016 Outstanding Commercialization Award winner. This award is truly an honor. Purdue’s outstanding model for commercialization of intellectual property should serve as an inspiration for other universities around the world. David Nolte, PhD accepted Purdue University’s 2016 Outstanding Commercialization Award during the 12th annual Inventors Recognition Reception at Purdue Research Park of West Lafayette, Indiana. Nolte holds a total of 14 patents and co-founded the company Animated Dynamics Inc. (ADI). With Nolte’s expertise, ADI has patented a bio-dynamic imaging technology called Motility Contrast Tomography (MCT) to improve targeting of chemotherapy treatments. MCT technology provides the ability to evaluate response (or non-response) of a cancer patient’s tumor to various chemotherapy agents before prescribing a cancer-treating drug. In preparation for commercialization of ADI’s Onco 4D™ test, study sites are currently being recruited for clinical trials targeting breast and bladder cancers. The trials will enroll certain breast biopsy patients, and bladder cancer patients undergoing a trans-urethral resection of bladder tumor (TURBT) procedure. The information gathered during the study will validate the Onco4D™ predictive algorithms for these clinical settings, and contribute to improved cancer care for millions of breast and bladder cancer patients. “It is my pleasure to be associated with Dr. Nolte and the other ADI founders, Drs. John Turek and Ran An. Their innovation and on-going research will provide a profound benefit in terms of physicians’ ability to achieve improved outcomes for their cancer patients,” said Ted Schenberg, CEO of Animated Dynamics. Animated Dynamics invented Motility Contrast Tomography (MCT), an advanced form of digital holography which measures kinetic activity at the nano-scale. MCT provides an unprecedented view into the physical processes at work within living tissue, allowing researchers and clinicians to quantify the phenomic signature of tissue in three dimensions and measure response to stimuli over time (i.e. four dimensions). The company’s Onco 4D™ test for phenomic chemotherapy selection is expected to become clinically available during 2017. More information is available at http://www.anidyn.com. Contact: media(at)anidyn(dot)com.